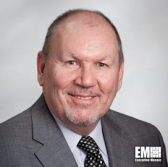 Chris Wlaschin, former chief information security officer at the Department of Health and Human Services, has joined Election Systems & Software as vice president for systems security. He will lead the voting equipment manufacturer’s product, operational and infrastructure security efforts in his new position, ES&S said Tuesday. ES&S President and CEO Tom Burt said the company aims to provide voting hardware and software designed to address customers’ election system resiliency, auditability and security requirements. Wlaschin has served in various leadership positions in both the public and private sectors after he retired from the U.S. Navy. He previously managed HHS’ cybersecurity efforts and also worked at the departments of Defense and Veterans Affairs, National Research Corp., and University of Nebraska.